Officials in Washington state’s Shellfish Program have identified a clear pathway to meet a state goal of restoring 10,800 net acres of shellfish beds to a harvestable condition by 2020. The 10,800-acre target, established by the Puget Sound Partnership, was considered overly ambitious by many people when the goal was approved in 2011. Many still believe that the shellfish restoration effort will go down in flames, along with other goals, such as increasing chinook salmon and killer whale populations by 2020. 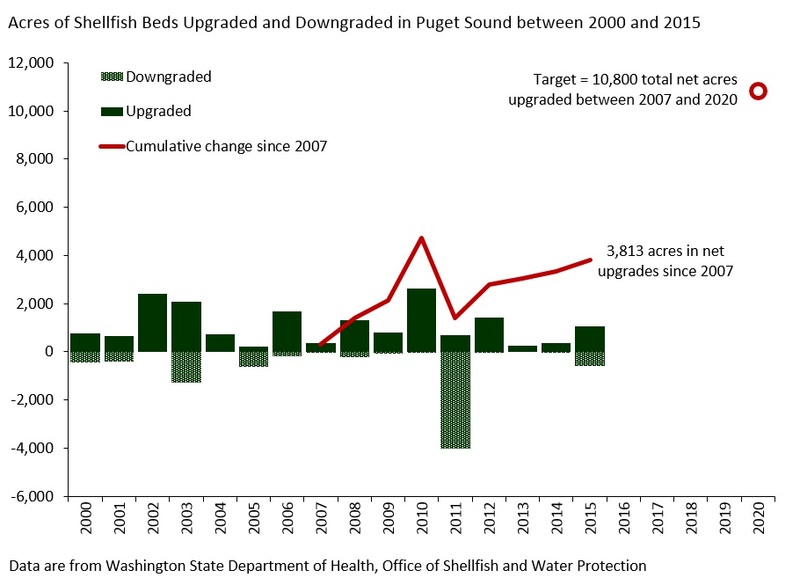 In reporting on the Shellfish Implementation Strategy, a document still under development, I’ve learned that the goal is within reach if enough of the ongoing recovery efforts around Puget Sound continue to make progress. Please check out my latest stories “Bringing the shellfish back” and “Closing in on the magic number in Samish Bay,” both published in the Encyclopedia of Puget Sound.